Tri Arc Work Platform. 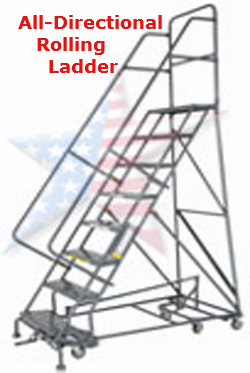 These Platform Ladders include the Largest Rolling Warehouse Ladders available. The BIGGEST Tri Arc Work Platform Ladders require a lot of room to maneuver. A Six Wheel All-Directional Rolling Ladder is the answer. This ladder turns on it's own Radius. 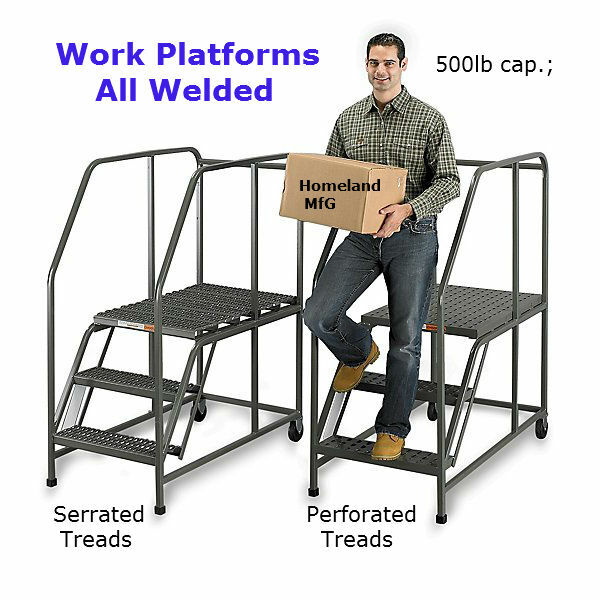 The Tri Arc Work Platform is the solution for most applications. Contact us, we are always happy to give professional advice. Call A Tri Arc Work Platform Expert, call a PRO.